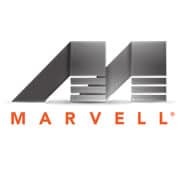 The new Avastar chips will combine both WiFi and NFC and are aimed at a wide range of markets, including smartphones, printers, games consoles, digital TV, tablets and routers, Bart Giordano, Marvell’s director of wireless marketing, has told NFC World. Both NFC payments and NFC pairing and sharing applications will be supported. The company, which holds 80% to 85% of the printer WiFi chip market and also supplies the wireless chips used in Sony PlayStation Vita and Microsoft Xbox games consoles, will begin sampling the new chips during 2012. Volume production will begin this time next year so the chips can also be compliant with the forthcoming 802.11ac gigabit WiFi standard, Giordano added. With the release of the new chips NFC will be included in all the company’s new products apart from those at the lowest end of the range. These will continue to offer only WiFi functionality, Giordano explained.